The Heist Society crew is back–just in time to save Christmas! Remember the Super Secret Project? Well, the secret is out. Or…maybe it’s just been stolen. That’s right. THIS NOVEMBER there will be a brand new Heist Society Christmas novella. I’m extremely happy to bring to you all THE GRIFT OF THE MAGI. 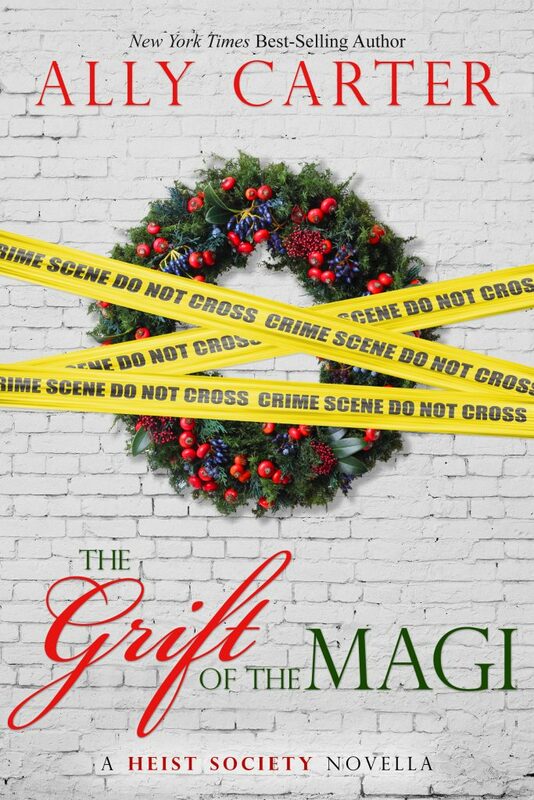 The Grift of the Magi is a novella featuring Kat, Hale, and the rest of the Heist Society crew. It stands alone and is about half as long as the other novels in the series. It will be available as an eBook only. If you don’t normally read eBooks, that’s okay! Pretty much all of the places that sell eBooks have a way for you to read them without buying an expensive device (like a Kindle). You can download an app to read eBooks on your smartphone or tablet or even read them on your laptop or desktop, depending on where you buy your copy. The book will be released on TUESDAY, NOVEMBER 15th–less than two weeks from today! It was SO MUCH fun to play around with the Heist Society crew again. I hope you guys have as much fun as I did! So…earlier this week, THIS happened. 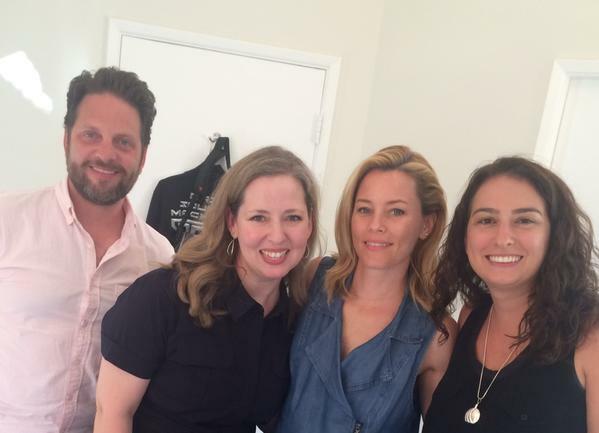 Here I am pictured with Brownstone Productions, specifically Max Handelman, Elizabeth Banks (yes, that Elizabeth Banks) and Allison Small. The answer, as always, is maybe. Brownstone and Lionsgate (the studio that brought you Hunger Games, Divergent, Twilight, and many other great movies) optioned the rights to Heist Society about eighteen months ago. Are they making progress? Yes! Is it a sure thing yet? Not quite. But we are getting closer, and I know that even if nothing gets made it won’t be for lack of trying. Hollywood is a strange place. There are hundreds or even thousands of factors that go into making a movie, and no one person controls them all. There are a ton of moving pieces, and I can assure you that those pieces are being handled by the best possible people, and that they want a movie just as badly as we do. It was incredibly cool just to drive across the Universal Studios lot, past places where people like Paul Newman, Elizabeth Taylor, and Stephen Spielberg have worked. I was also able to take other meetings in town and meet with even more people who are interested in my work. There’s nothing I can share right now, but if and when I can tell you all about it, rest assured I will. In the meantime, keep on reading and have a great summer! Heist Society has been optioned by Lionsgate (yes, the studio that brought us Hunger Games) and Max Handelman & Elizabeth Banks (yes, Effie Trinket herself)! 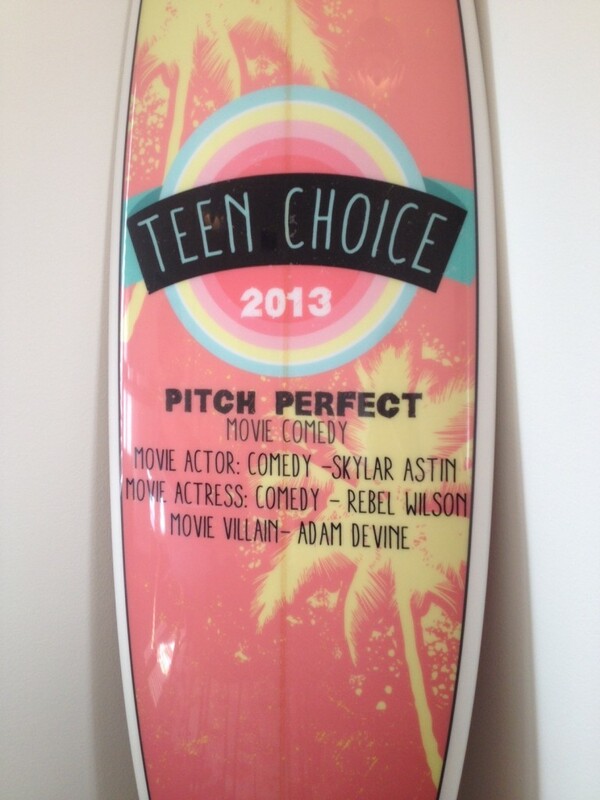 As most of you probably know, Pitch Perfect was my favorite movie of last year. There are too few movies that feature women–much less movies that feature bright, capable YOUNG women. Pitch Perfect has been one of very few exceptions to that in recent history, and so I am ecstatic to entrust Heist Society to the people who made that movie possible. It is all still VERY new, but I have spoken with Max and Elizabeth on the phone, and let me tell you, they are so smart and have such a great grasp of the material that I am absolutely thrilled with the possibilities. Will a movie happen? We cannot say for sure. An option is just that–an option to someday make the material into a movie. It is absolutely not a guarantee. But I am optimistic. Who will be in the movie? We are still a world away from knowing that. Will this version of Heist Society age up the characters like last version was going to? Possibly. I don’t think anybody knows for sure yet, but I would certainly be fine with that. Can I try out for the movie? Again, that is still ages away. Who is your dream Kat? Hale? I’m pretty sure that the producers and the studio are going to focus on getting the right script first, so I’m going to focus on that as well. Will you be involved in the movie? Not officially, but I have a good feeling that 1. Max and Elizabeth have a great respect for the material and 2. They will be open to ideas and suggestions. Does this mean you will write more Heist books (after Perfect Scoundrels)? That has always been my hope. I love these characters and this series, and I have no intention of saying goodbye to them any time soon. And that’s it, folks. Secret number 2. It is spring break around here and Ally is in Florida! Are any of you taking any fun trips for spring break? I thought instead of a heist mission this week I would do something else fun. How about we put together a playlist for Kat’s next heist?!?! So, what I need from you is your favorite song while pulling a heist! Just leave it in the comments section and next week I will post a playlist based on your recommendations! P.S. Where do you think Kat would spend her spring break? P.S.S. Even though everyone is off having fun I will still post Fan Art Friday so send in your artwork to [email protected]! Currently at The Metropolitan Museum of Art, New York. 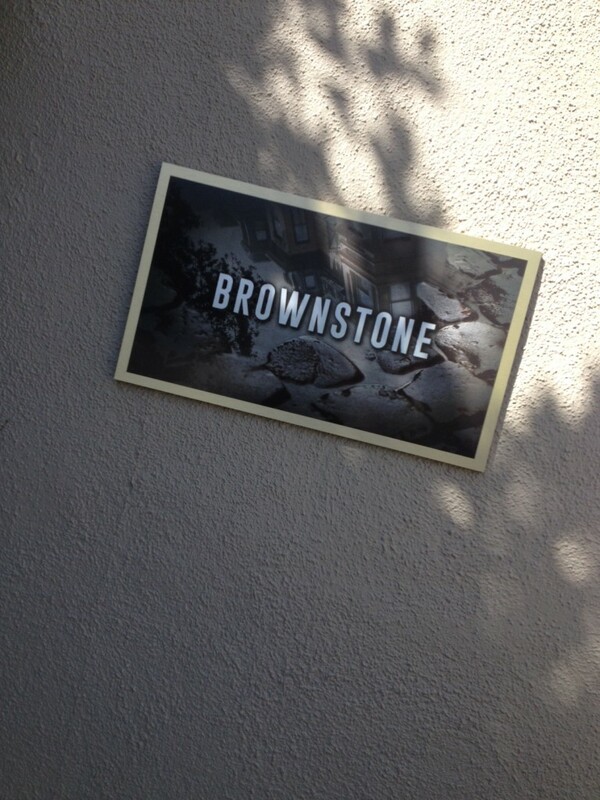 Can you guess what this crown jewel beauty is and where the heist is taking place? Good luck on this mission! I will hold all comments/answers for 24 hours from post date. P.S. The best part of working for Ally is she gives you awesome chapstick and half a cherry pie (that she made) to take home!